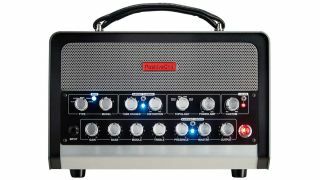 Positive Grid’s BIAS Head is one of the most cunning amp modellers available, and you’re in for a treat if you pick one up over the holiday season. From now until 31 December, if you buy a BIAS Head you get a free Twin Pedal of your choice - you can pick between the BIAS Delay Twin, Modulation Twin and Distortion Twin. That’s an excellent offer indeed - we praised the Amp Match-equipped head as “a well-built, pro-quality head packed with realistic amp sounds”, and getting one of PG’s top-notch Twin Pedals thrown in only sweetens the deal. The offer is available on the BIAS Head ($1,299) and BIAS Head Preamp ($999) at participating US dealers, including Sweetwater.